Blackeye, and Blackeye’s Son: Who are They? Saty 6th [June 1846]: Fine weather.. Breakfast & fell a tree for a bridge. Vestiges of horses at this place. After breakfast found a beaten road and soon fell in with the recent tracks of horses. A fine open country before us — Red Firs [Ponderosa Pine] with little or no underwood. Proceed six miles and meet two Indians, who proved to be old Blackeye, the Similkameen, and his son-in-law, on their way to visit their deer snares. It appearing that we are about 20 miles from the Red Earth Fork [Princeton, B.C.] the appointed rendezvous, the old man sent his son-in-law on horseback, to have our horses brought to us; promising to guide us by a shorter and better road to fall upon the track to Kamloops. Strike off NW up a stream and its feeding lake [Otter Lake, from a point afterwards called Campement du Femmes]; at the further end of which, near Blackeye’s lodge, we encamped. Our provisions are exhausted, but the old man supplies us with a few fresh carp, which though nowise tempting at another time, are very acceptable now. Blackeye, who it appears was trusted implicitly in these points by the late Mr. [Sam] Black, informs me that the horse road to the height of land strikes straight across the bend of the river, and falls beyond our encampment of the 3rd Inst. He states that it is a wide and good road, with plenty of pasturage at the proper season; and that but for the depth of the snow, we could not have missed seeing it after crossing the height of land. The road mentioned by Blackeye is that by which all, or most, of the Indians of the neighbourhood proceed every summer (in July) to the height of land with their horses, to hunt Siffleurs [marmots] and gather roots. He expresses his willingness to guide us through it at the proper season; but like the rest of the country in that vicinity, it is impossible at present owing to the snow. So, who was Blackeye? I would like to know more about this man, and his son (or son-in-law). The meeting, above, took place in mid-summer 1846, but by the time Anderson had set off on his 1847 expeditions, he had made arrangements to meet Blackeye at the west end of Lac de Nicholas (Nicola Lake). The Native man had not yet arrived when Anderson made his journal entry for the day. However, by the time that Anderson reached the Native village of Squa-zowm, where Boston Bar now stands, both Blackeye’s Son (or son-in-law), and Tsilaxitsa, the nephew of Chief Nkwala (after whom Nicola Lake was named), had joined him. These two Native men showed Anderson the beginnings of what would become the new Brigade Trail in 1848. Here is where I think Blackeye, the Similkameen chief, came from — and its a great story! I will quote the story as it is written in “Notes on the Shuswap People of British Columbia,” by George Mercer Dawson, found online at: http://teitsfootsteps.files.wordpress.com/2011/01/notes-on-shuswap.pdf, and published in the Transactions of the Royal Society of Canada, Section II, 1891, pp. 3.44. This is a cumbersome file and difficult to read online, but I have linked it anyway. “A long time before the white man first came to the country, a company of warriors from the neighbourhood of the Chilcotin River made their appearance in the Bonaparte Valley, apparently with the object of attacking the Indians who were there and of making slaves of such as they could take alive. This happened during the salmon-fishing season. “At that time it was customary for the Shuswaps who lived on the banks of the Thompson River between Kamloops and the mouth of the Bonaparte and in the Bonaparte Valley, to take their winter stock of salmon from the Fraser River at the western base of the Pavilion Mountain. 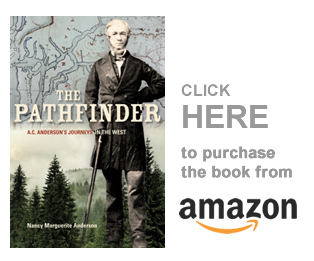 “The warriors above mentioned had evidently calculated that most of the Shuswaps would be absent from their winter quarters on the Bonaparte and Thompson valleys, and would be encamped on the Fraser River during salmon season, and that therefore they might make an easy prey of the few Indians who might be remaining in these valleys. It happened that during the previous winter provisions had been more than ordinarily scarce, in consequence of which all the Shuswaps belonging to these localities had removed to their salmon fisheries on the Fraser. “The strangers from Chilcotin were evidently ignorant of the geography of the country into which they had penetrated, and as they saw no Shuswaps where they expected to find them, they continued their advance southward down the Bonaparte and Thompson valleys till they reached a position opposite the mouth of the Nicola River. At this place they were discovered by some scouts belonging to the N-tla-ka-pe-mooh tribe, who immediately descended to Nicoamen and Ti-kam-cheen (Lytton) where most of the members of this tribe were assembled for the salmon fishery. They gave the alarming information that a hostile company was advancing down the Thompson. “A strong force of the N-tla-ka-pe-mooh immediately set out to intercept the strangers, and having soon ascertained their position and probable strength, established themselves both in front and behind them. The intruders, after they discovered that they were thus menaced by a force stronger than their own, took advantage of the night to cross the Thompson and proceeded to ascend the Nicola Valley. The N-tla-ka-pe-mooh followed and harassed them, continuing to do so till the strangers were driven into the Similkameen Valley, where they took a firm stand, and by their prowess, obliged their pursuers to desist from molesting them. The strangers were mostly young men, who had their wives with them, but only a few children, for in these primitive days the women accompanied their husbands to war and were valuable auxiliaries. The neighbouring N-tla-ka-pe-mooh and Salish of the Okanagan soon discovered that the stranger women were larger and better looking than their own, and treaties for peace and intermarriage were made. The language of the strangers fell gradually into disuse, and only a few words of it are now remembered by the oldest Indians of the Similkameen, the N-tla-ka-pe-mooh and Okanagan dialects being now used by these people indiscriminately. These strangers, who are said to have come from the Chilcotin country, are thus the earliest inhabitants of the Similkameen valley of whom any account has been obtained. This incident is supposed to have happened about the turn of the century (very early 1800’s or late 1700’s). So if “old Blackeye” was one of these warriors and twenty years of age, he would have been only fifty-six years old in 1846 when Anderson met him. He was probably older, but not too much older. Let us continue, from: “Account of the Similkameen Indians of British Columbia,” by [Mrs] S.S. Allison, from The Journal of the Anthropological Institute of Great Britain and Ireland, vol. 21 (1892), pp. 305-318 (available at www.jstor.org). “Of the origin of the former inhabitants of the Similkameen I know nothing, but of the tribe at present occupying the valley tradition relates that about 150 years ago a small band of the warlike Chilcotins, accompanied by their wives and decked out in their war paint and feathers, crossed the Frazer River on the war path to avenge a wrong (the death of a chief) inflected on them by the Shuswaps of the Bonaparte and Thompson. “Penetrating too far into the interior the winter suddenly set in, they found their retreat cut off and themselves hemmed in by their enemies. They were, however, in a country abounding in game of all kinds, which, together with the long black lichens that descended from the pine trees, afforded them ample sustenance. In his book Indians of Canada, Diamond Jenness says “At the end of the eighteenth century there was a small Athapascan-speaking tribe, wedged in among these five Salishan tribes, which occupied the valley of the Nicola river and part of the valley of the Similkameen. 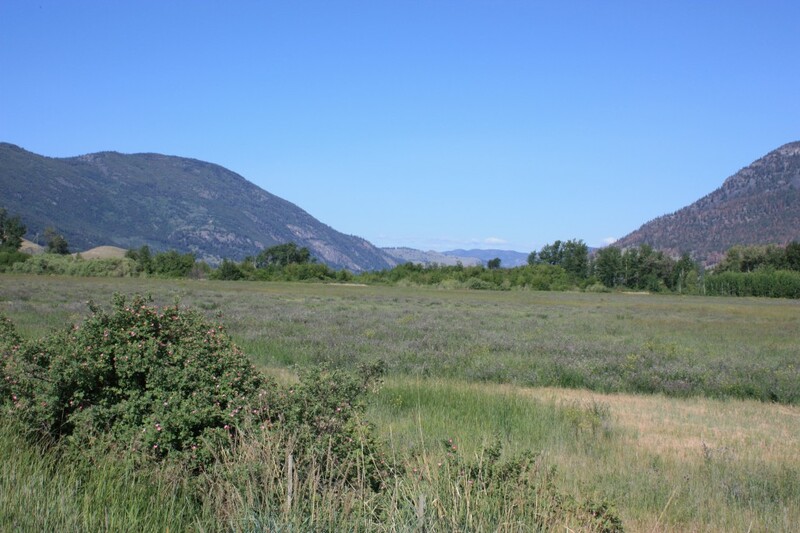 Early in the nineteenth century the Thompson River Indians absorbed it so completely that only a few legends, and a small vocabulary of names, bear witness to its former existence.” This was Blackeye’s band, or tribe, well known to the HBC traders of Kamloops area. In George Mercer Dawson’s afore-mentioned “Notes on the Shuswap,” I learned that chief Nkwala’s mother was “a Similkameen woman of the Tinneh type, which is clearly shown in the physiques of her descendants to the present day.” So, perhaps, Nkwala’s father, Pelka’mulox, took as his wife one of the Chilcotin women who fought their way through the Nicola valley to the Similkameen. However, the further you look into the story, the more confusing it becomes! The story might not be true at all: it is perhaps, folklore. I have discovered the Chilcotin/Similkameen persons are called the Nicola Athapaskans, or Stuwi’x, today. They lived in the Nicola Valley and around Tulameen, and the last members of the group who lived near Nicola Lake retreated to Stump Lake, Douglas Lake, and Nicola Lake, where they were sheltered by Nkwala, their close relative. By the end of the nineteenth century they had disappeared, being assimilated into the Secwepemc (Shuswap). In dealing with the subject [of the Native tribes] I have only mentioned those heads of tribes which have always stood prominently forward as representative of the multitude of minor divisions & subdivisions of tribes or families. It must be borne in mind that, in attempting to make a [division/decision], the lines of demarcation are of a very arbitrary nature, [and] any attempt to define the territorial limits of the nomadic tribes inhabiting this wild part of North America, & to arrive at any degree of accuracy as to the proper division of those tribes living coterminously with each other on or near the boundaries or apparent boundaries, would require years of study of their habits, physical characteristics, & language — certainly much more than I have had the opportunity of giving the subject, & it seems almost presumptuous to attempt even a rough sketch such as I have given without a more through knowledge of all the points so necessary in arriving at conclusions as to the derivation & relationship of the different races under review.